Christmas Island; In the middle of the Indian Ocean, 50 million red crabs make their ancient annual voyage from the jungle to the oceans edge. While thousands of asylum seekers are detained indefinitely in a high security facility. 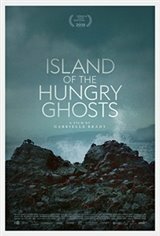 Poh Lin, a trauma counsellor living on the Island of Hungry Ghosts, bears witness to the decline of those being detained.